What Can A Med Spa Do That A Regular Spa Can’t? Have you ever wondered what the heck the difference is between a med spa and a day spa? Well, you’re not alone. The similar names often cause confusion, but you’ll find some very different procedures at each type of beauty center. The main distinction is that doctors usually run med spas, while day-spa owners generally don’t have medical credentials. Think of the medical version as a skin clinic with a more relaxing setting than the average dermatologist’s office. If you’re looking for the latest pharmaceutical innovations in treating wrinkles, cellulite or acne, a med spa (also called a medical spa) is the way to go. Plus, your doctor can send you home with prescriptions for top-grade care at home. Both types of spas offer soothing facials to help relieve acne, hydrate parched skin or reduce wrinkles. Over-the-counter exfoliants, moisturizers and acne masks are usually available at each. That said, only a med spa can provide more advanced facial techniques. An IPL photo facial, for example, can help reduce dark, splotchy pigmentation on your face or chest, but you can’t get that at a day spa. You can also get medical-grade peels at a med spa, which remove the top layer of skin to reveal a fresh, more youthful complexion. These treat fine lines and hyperpigmentation (dark spots on the skin) far more effectively than most standard facials. Muscle relaxers paralyze small muscles in your face to stop certain movements caused by your natural expressions. For instance, by injecting muscle relaxers around your eyes, those muscles will no longer move when you smile — meaning no more crinkly crow’s feet. However, muscle relaxers won’t erase wrinkles that are already etched in; they simply stop them from forming in the first place. Botox and Dysport are both brands of muscle relaxers. Dermal fillers literally fill in existing wrinkles by plumping up lines and creases. They’re perfect for the nasolabial folds around the corners of your mouth, and some types can even plump up lips. 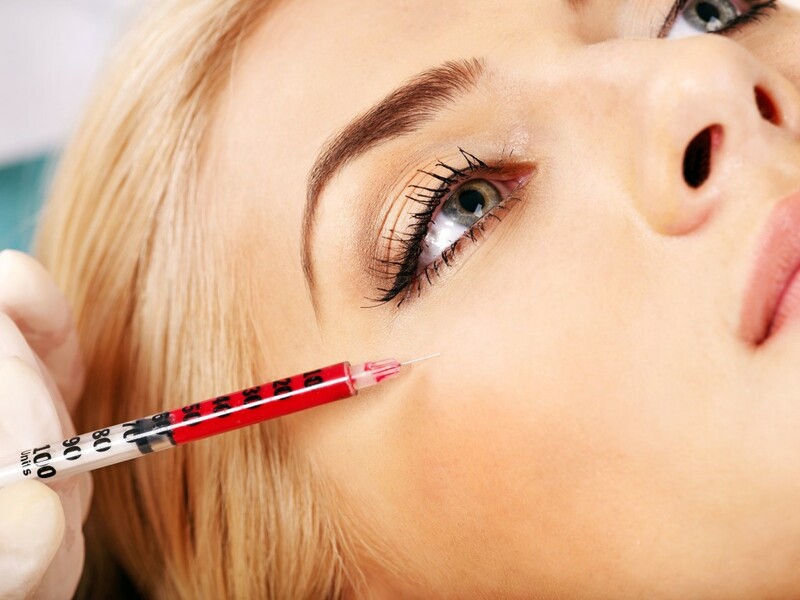 Dermal fillers may contain collagen, hyaluronic acid or other natural and synthetic ingredients. Common brands include Radiesse, Juvederm, Perlane and Sculptra. Any type of spa can smooth and moisturize your body with specialized scrubs. The seaweed wrap — more common at day spas than med spas — may even help reduce cellulite and take inches off of your body (but only temporarily). Both types of spas may also offer massages and acupuncture, provided by certified specialists. That’s a fancy term for freezing away fat by exposing tissues to cold temperatures. Only the fat is frozen — not your skin — and this method works well for relatively thin people who have the dreaded “muffin top” around the stomach. CoolSculpting is a brand name. Radio waves emit energy, heating up fat cells to destroy them. This technology works for many areas, including the stomach and the chin, and tightens skin as an added bonus. This treatment is also not for overweight people, but those with isolated pockets of fat. Thermage is one brand name. Lasers literally shine at resurfacing your skin to erase fine lines, age spots, acne scars and uneven texture. There are two main types of lasers used for resurfacing: Ablative lasers exfoliate the top layers of skin, while nonablative lasers stimulate collagen growth and provide a tightening effect. One type of laser helps prevent acne by inhibiting bacterial growth. Another type shrinks the oil glands to prevent overproduction. Both offer long-lasting results, and are used on both teens and adults. Acne may disappear for years after just a few sessions. 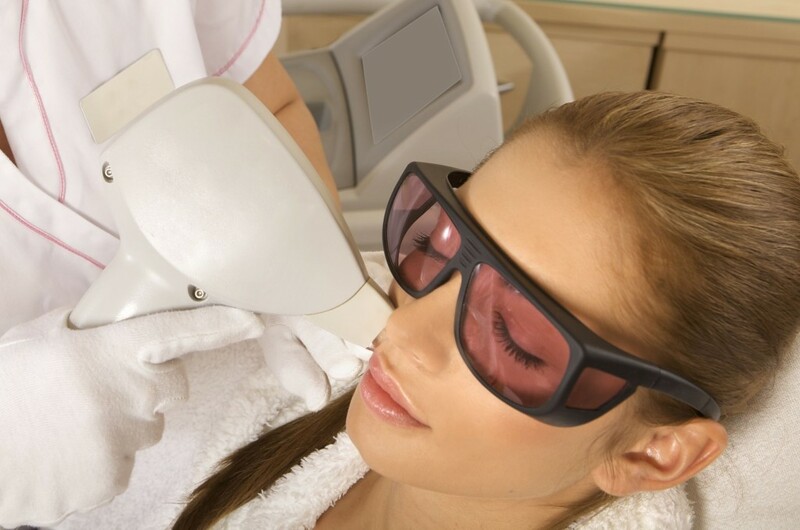 Yes, lasers can even remove unwanted hair from your face and body. By shooting light straight into the follicles, the laser destroys the hair. Multiple sessions are needed, and you may require a few touchups over the years, but results are long lasting. This works best for people with lighter skin and darker hair. A medical spa also has the technology to remove unsightly imperfections like skin tags, spider veins and broken capillaries. Sometimes lasers may be used, although other methods such as VascuLyse are also effective. Results are permanent, and the procedure is usually fast. You’ll find an array of lotions, creams and serums at whichever spa you choose. However, you’ll only get the prescription stuff at the med spa. This includes Retin-A, a top proven wrinkle fighter, as well as stronger acne treatments. You can also get Latisse, a prescription eyelash treatment that makes lashes fuller, at a medical spa but. While the superficial treatments offered at the day spa do provide some results, they simply can’t compete with the power of medical technology. At the med spa, you can literally erase wrinkles in a single session, and tackle acne, rosacea and skin discoloration using the best tools available. Because medical spas offer medical procedures, it’s very important to check the qualifications of your doctor or aesthetician; there is always a risk of side effects, but you can help protect yourself by choosing a med spa with knowledgeable, competent staff. The right med spa can tailor a program to suit your needs, and leave you looking younger than you have in years. And in the hands of a medical professional, you can feel confident about your results. If you’re after the latest proven solutions lasting beautification, it may be time to upgrade.